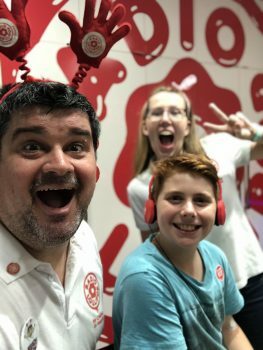 Young visitors to Radio Lollipop studios in Australia are now permanently wired for sound thanks to a generous donation from two of our supporters. Virgin Australia and Linstol – the leading supplier of headphones to the aviation industry - have sent us 1,400 sets to distribute to our hospitals across the country. Children now have a colourful reminder of their time on air, and bed bound patients don’t miss out either - they can also use them on their own devices. Judging by the reaction so far, they’re a big hit with our discerning junior DJ’s and a welcome addition to our studio set-up. For volunteers, the personal headsets mean less time spent disinfecting equipment and more time playing the music that we believe is a key component in the healing power of Radio Lollipop.